Have you checked out Room 31 yet? It's a fab online store full of pieces which are absolutely gorgeous! I fell a little bit in love with this Vero Moda blouse and the beaded detailing on this blouse is amazing! Boots - My 1st Wish(*)I teamed this blouse with my leather look skirt from Ark Clothing and my favourite boots from My 1st Wish! I really like this blouse as it's not like any other blouse I own. It's a fab shape and the beaded detailing on the peter pan collar is amazing! 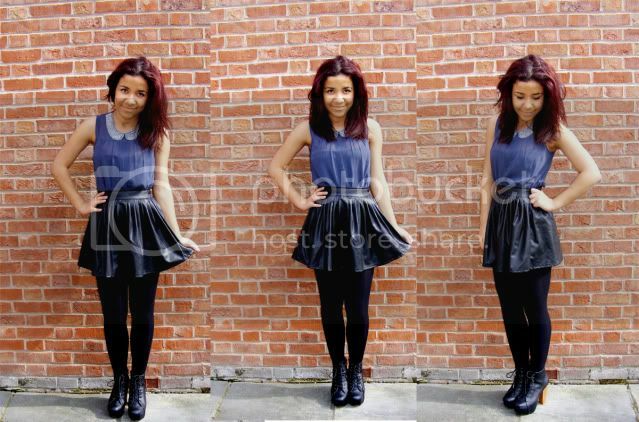 I love the shade of grey and how it looks fab wearing disco pants, jeans & skirts! Boots - My 1st Wish(*)I'd probably wear this outfit for a meal out or maybe a party as it's casual but still that little bit glamorous! I love the beading on this blouse and as you can see it's a very detailed collar! What do you think of this blouse? 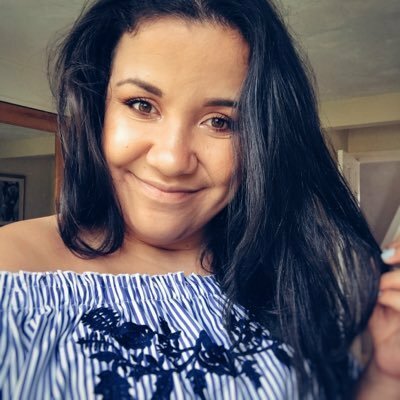 how would you style it? have you checked out Room 31 yet? I love this look from head to toe, especially the bold collar! 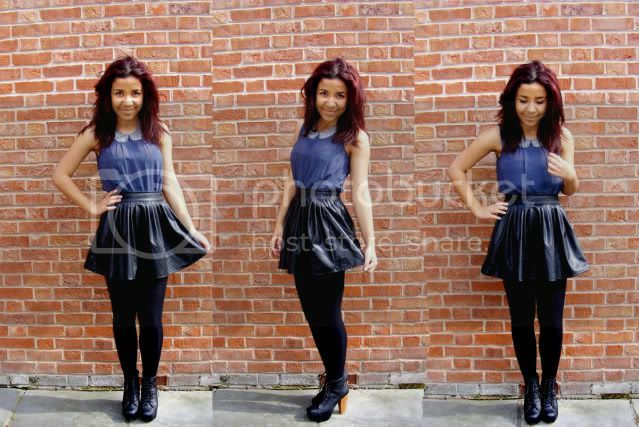 Cute outfit :) that shirt really is lovely, definitely going to have to check out their website now! I really love the colour of the blouse with the black leather look skirt! I really love that top! Gorgeous skirt- you look fabulous! This is gorgeous esp the blouse!! There are so many different options for the Girls fashions. I like your blog. Good work keep it up !!! you think of it and what i could do to improve it. Oh wow I LOVE this outfit! Definitely something I'd be wearing. I just got myself a leather skirt from Monki like yours and I'll be sure to wear all my peter pan collar blouses with mine! Or perhaps buy a pretty beaded Vero Modo blouse like yours?! Very cute top. 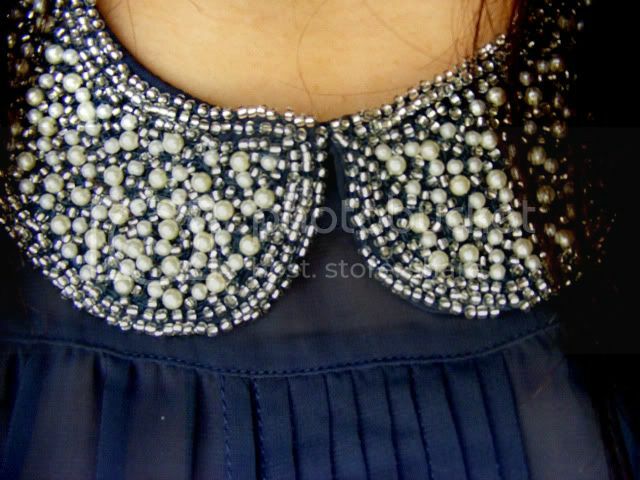 Love the peter pan collar and the beading. It look easy to dress up and down as well. The detail on the collar is just gorgeous! I love everything about this outfit :) Way too cute! And I like the beaded detail on your blouse.